One of Argentina’s young sommelier promises, Andy Donadio is the daytime face at Oporto Almacén in Nuñez, Buenos Aires, and also teaches service at IAG culinary school. 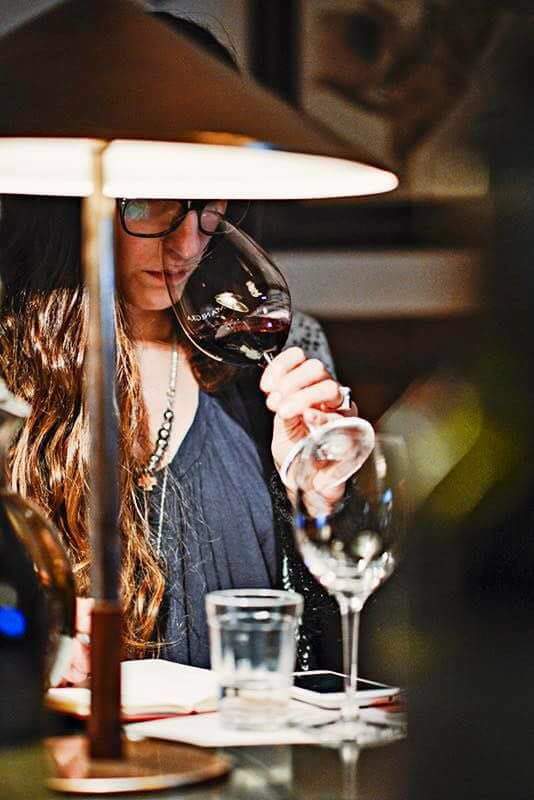 During the world’s best somm contest in Mendoza, she assisted the technical committee, a backstage insight that has inspired her to likely compete in the next edition to find Argentina’s top sommelier. What was your last pairing? I love the combination of a tasty salad with arugula, avocado and grilled prawns with Sauvignon Blanc, and one of the most recent ones I tried was Padrillos Sauvignon Blanc 2015 from Ernesto Catena Vineyards: fresh, youthful, citrus and very summery. A Corona! I love it with a slice of lime! I always name southwest France. I lived in Laguiole for a few months, undertaking a work placement where I served a lot of regional wines as well as products from nearby zones. It’s a uniquely enchanting region, as are its wines. What I love the most in my profession is that I feel like it doesn’t have any frontiers. You study geography, culture, tradition from all around the world and one has to be up to date all the time. I’ve got a lot of wine that’s waiting for me in my cave. I’m dying to try a sweet wine called Thor Le Chien Vi Dolce 2009 from Priorat. Some of my family live in Barcelona and they gave it to me so it’s got a special sentiment attached to it. I’m looking for the moment to open it and try it with something delicious. I think that something unique that this profession let me be part of the last world sommelier contest in Mendoza . I helped the technical committee , which is formed by some of the best sommeliers in the world and it was magical to experience that behind-the-scenes action; it was almost like a script from a film. That experience has motivated me a lot to continue studying, and hopefully I will compete during the next Argentina competition. Let’s see how it goes for me! A white wine; young, fresh, floral with refreshing and sharp acidity, a bit of a rebel. Maybe a Torrontés, maybe one from Salta, really indigenous. You should never lose your roots!